This Fan is a part of Air purifier that I plan to make. At the beginning I was under an impression that higher the Airflow produced by the fan the better it will be but when I started researching about the process I was surprised to learn this is not the case there is another variable in the equation "Static Pressure" which plays an important factor in the performance. Under normal condition a fan with a higher CFM rating will give better performance then a fan with a lower CFM rating , but this scenario changes drastically if there is obstruction to the airflow either from a filter or from ducting. In such a situation a fan with better static presser will give a better air flow rate. Normally a centrifugal fan have higher Static pressure then the standard Axial fan. In fact I also discovered this during initial testing with the regular exhaust fan. It did not work the air just bounced back and did not pass trough the filter which concludes that you need a fan with high static pressure. Plywood is a medium I am very comfortable working with and so I decided to build my own fan rather then just buying one from out side and assembling it. I have used 6mm plywood for the full construction. how much static pressure the fan can generate. From the testing and my on-line research I came to conclusion that backward inclined blade is best as it gives higher efficiency additionally it does not overload the motor and also requires less balancing of fan. Curving the blade would have given better efficiency, but it was quite challenging so I left it for another time. 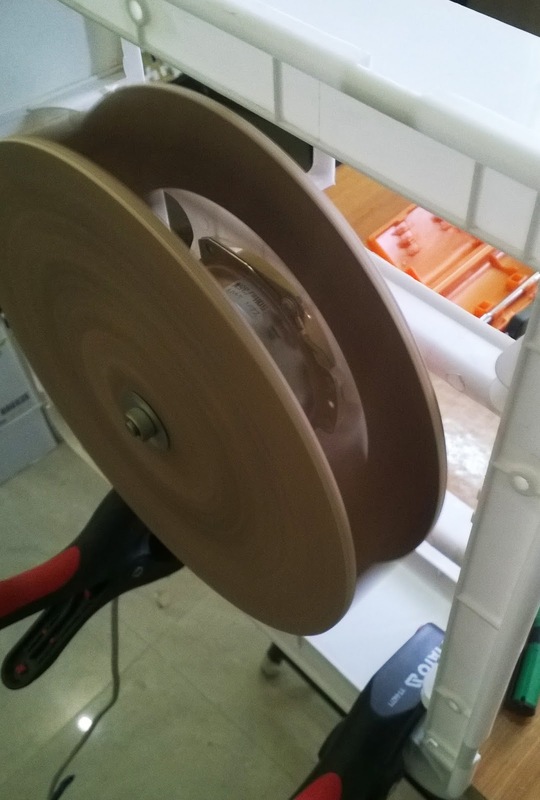 I have a spare exhaust fan at home so I used its motor which is a 35W single phase induction motor which is a bit week for the task at hand. To make it work the determining factor was the Alignment of the fins. Moving forward to my favourite task cutting the wood. 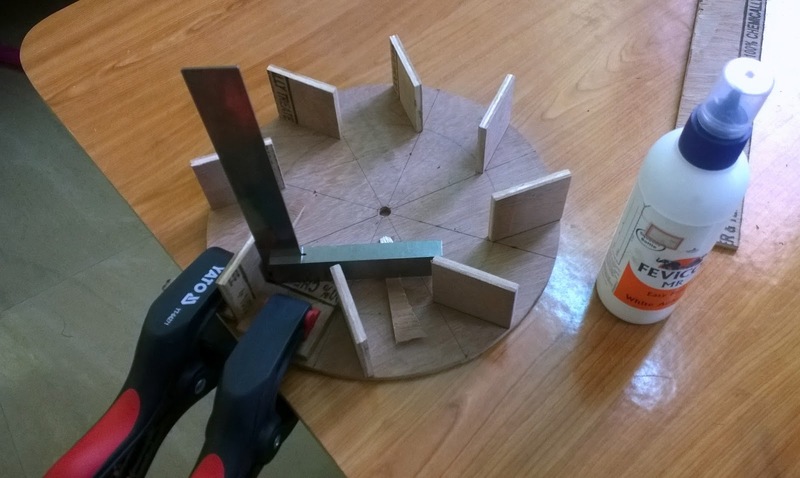 I have recently purchased Dremel 4000 rotary tool and wanted to use the included circle jig and so went with that for cutting the Discs. 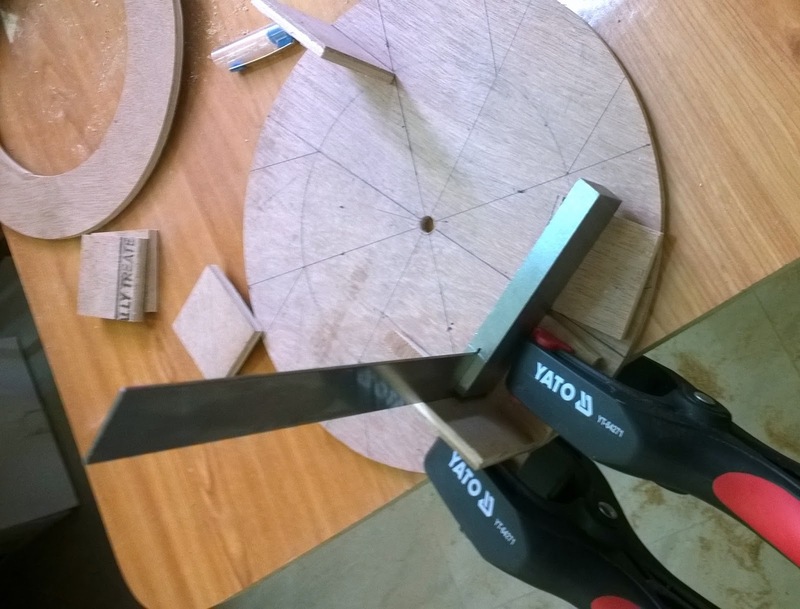 It proved to be not so successfully experiment, the cutter bit in Dremel is a spiral cutter and gives a very rough cut, should have used the Router to cut the circle if you have a Router please use it. The design I came up with is a simple one to maintain consistency across all 8 fins. For this I have divided the circle in 8 equal parts. The fins are at an angle of 30 degree. They are held in place by glue (Fevicol MR) for added additional strength I have applied CA glue on the joints later. Gluing the fins properly is a very crucial step one needs to be very careful, You will notice I have measured the angel and position of each an every fin every time I placed it. 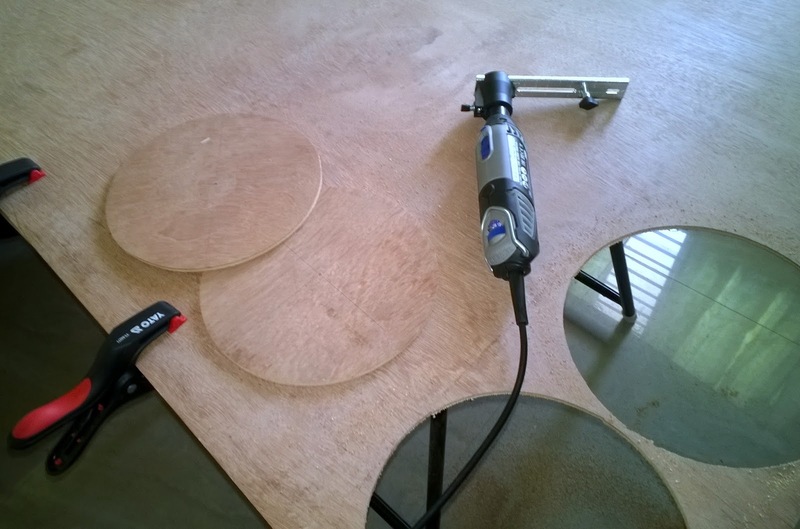 After gluing the top you need to leave it for quite some to get firmly fixed. 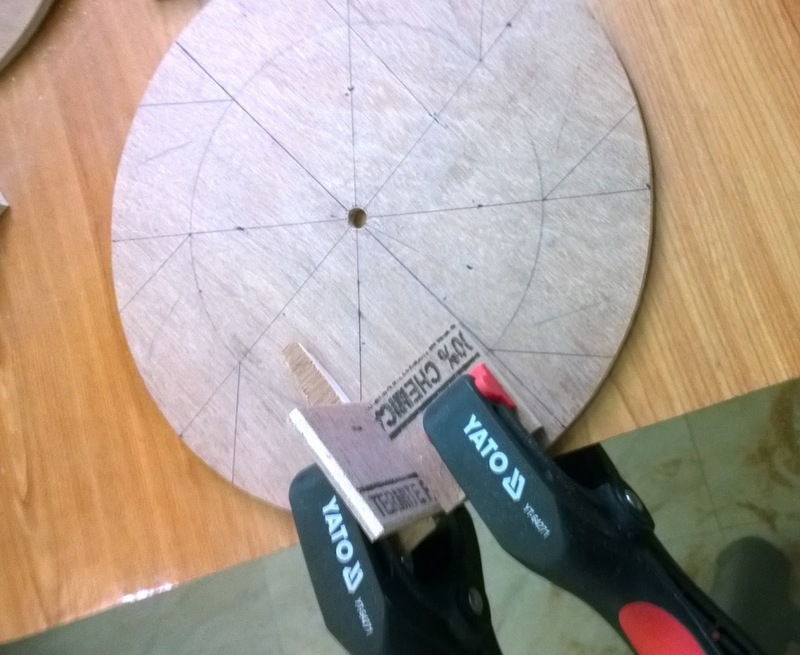 I have balanced the fan upon gluing all the pieces by sanding the edges. Next was the most crucial step of connecting the fan to motor. 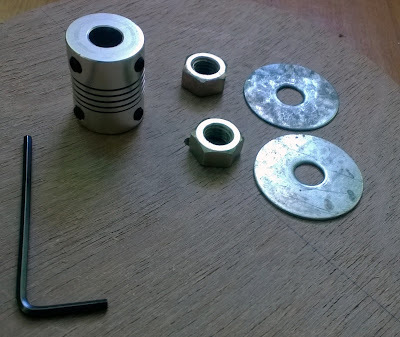 The motor I have used have a 8mm, shaft. To connect the fan have used 8mm flange which I had ordered online. I wanted to buy a flange with mounting plate but could not find one. 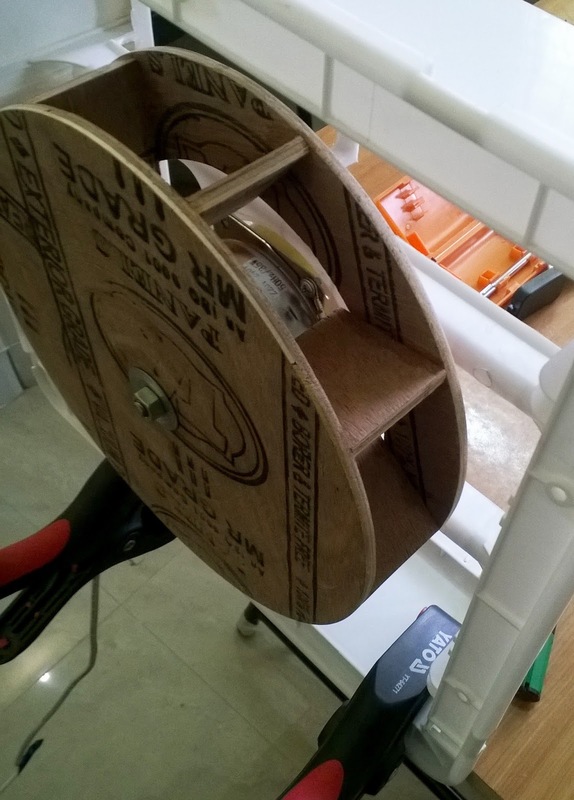 It turned out to be a easy task of connecting the motor to my surprised and it worked successfully. 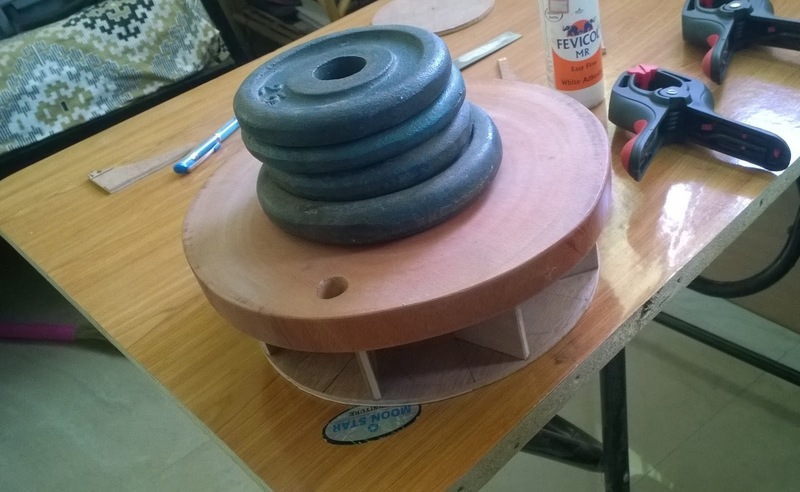 I am going to go ahead with my Air purifier soon where all the part will be assembled this centrifugal fan and also the Air Quality Monitor. What happened to this project of yours? I am too busy with my electronic projects right now also have run out of space for woodworking. But will definitely resume this project once i assemble my CNC.